I'm always on a hunt for great workout clothes. Earth Yoga Clothing is an organic, earth friendly, sustainable clothing wear perfect for yoga and working out. Their fabric is Sustainable Organic because it is made of 60% Organic Cotton, 35% Sustainable Bamboo, and 5% Spandex. Together their clothes feel amazingly soft and comfortable. I was contacted and fortunate to receive a T-shirt and Yoga pants to review. Their line of clothing is comfortable, organic and still fashionable. I would wear the shirt out if I needed to. I even got a compliment on the shirt at the gym. I'm able to wear a colored sports bra or tank underneath it for a more stylish pop of color and comfort. Their sizes are true to fit. The Yoga harmony tee has inspirational yoga words all over the shirt. It is light, thin and airy for a comfortable wear. This tee is 56% Fresh Organic Cotton, 44% recycled polyester from plastic bottle and other recycled materials. I washed the tee and it held up nicely and kept its shaped. This retails for $24. The Asna Capris are the perfect yoga pants are slim fitting with the fold over waistband. The bottoms are 60% fresh organic cotton, 35% sustainable bamboo and 5% spandex. With it's breathable, comfort fit and performance support this works perfectly for any active lifestyle and workout. This retails for $42. Both tee and capris are available in different colors. 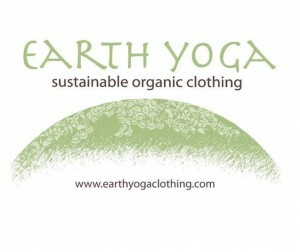 I definitely would recommend Earth Yoga Clothing to those who value good, organic, eco-friendly clothing. Other styles I'd like to purchase are these below. If you're looking for organic clothing for yoga or daily workouts, be sure to check out Earth Yoga Clothing. Disclosure: I was provided with Earth Yoga Clothing to review in return for my honest opinion. This post provides my 100% opinion. Nice! I'm always on the hunt for yoga clothes. I'm going to get myself on another 30 day challenge! Thanks for sharing. Pleased to know about such comfortable yoga clothing. Will buy them along with tank top from a reputed store online. Also ask my sister if she needs any. Active wear for yoga as well dance sessions is must. Also want to compare all the online available prices.